Create the best part of your Students' day. Serve Products that excite kids. The key to driving participation is delivering great taste that's easy and fun to eat, and providing exciting new dishes that are simple to prepare, allowing for creativity and versatility. Give your kids foods they’ll really go for with portable offerings that are as easy to prepare as they are fun to eat. Make their favorite your favorite with a full range of easy-to-prepare pizza solutions including premium-quality, high-value and single-serve options. Keep things fresh with Asian favorites like whole grain egg rolls, fried rice and versatile sauces that spark creative main dishes. Start their day off right with tasty, hot and savory breakfast offerings that are easy to make and even easier to eat on the go. Sample products and get great insights on trends and creative menu ideas. 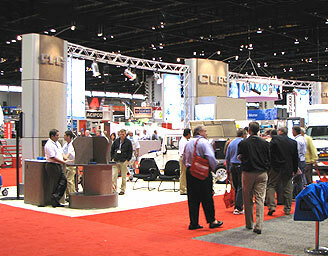 Talk to your Schwan’s Representative about trade shows in your area. We’d love to see you. 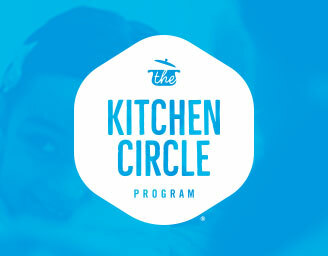 The Kitchen Circle™ Program lets you earn points by ordering products and redeeming them for kitchen equipment, branded promotional items and even travel perks. Excite your students and invigorate your menu with great ideas that allow you to take their favorite dishes to new heights. Keep your school’s food program fresh with the latest menu ideas and resources that give you more opportunities to flourish. Our dedicated K12 commodity team can help you navigate and simplify the commodity process. Our resources and expertise can help you front-load your commodity pounds and allow you to serve products that drive participation efficiently and effectively. now to learn more and start saving.